Jerome Potozkin MD (Danville) - Book Appointment Online! 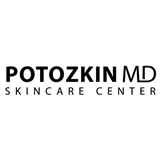 Welcome to the practice of Dr. Jerome Potozkin, a board certified dermatologist located in Danville, CA. We are a fully accredited surgery center and offer the latest technologies including Fraxel and Ulthera for facial rejuvenation. Dr. Potozkin is well credentialed in all injectables and has earned the esteemed title of Expert Injector. He also specializes in Blepharoplasty for the eyes. Our staff is dedicated to helping patients achieve a natural, youthful looking appearance. Our practice provides a full range of dermatological care to our patients. Whether you are seeking advice on a mole, require MOHS surgery for skin cancer, wish to remove unsightly hair, or reduce the appearance of lines and wrinkles, Dr. Potozkin can help! If you are ready to open the door to a more beautiful you, contact us today!